The Notrax 755-100 Competitor anti-fatigue floor mat can reduces stress from standing that leads to lower back, leg, and neck pain. 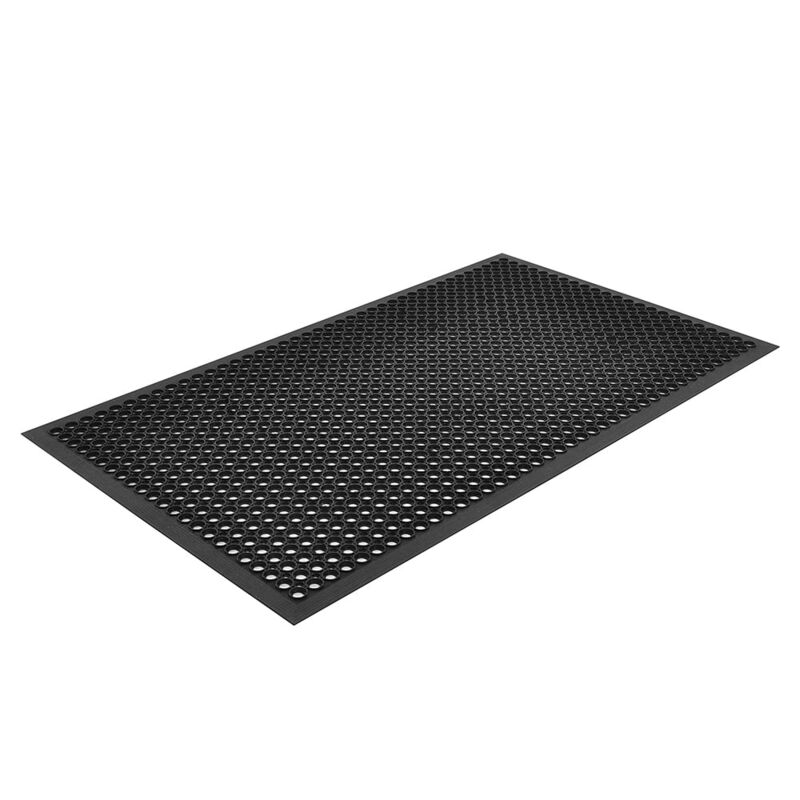 This general-purpose, black mat is lightweight for easy cleaning and handling. To reduce the chances of tripping, the edges of the mat are beveled down to the floor. The large holes throughout the mat provide drainage that removes debris and liquid from the platform, helping to prevent slips on floors slickened by spills and spatters. With a thickness of 1⁄2 an inch, carts easily roll over the mat. The mat is made of rubber for durability and can be used in any area, including the kitchen, bar area, or by the front door. The Notrax 755-100 Competitor anti-fatigue floor mat measures 3 feet by 5 feet. This general-purpose mat has a high-traffic complement in the Apex 755-100 Competitor mat, which is composed of heavy-duty red rubber to stand up to significant demand.